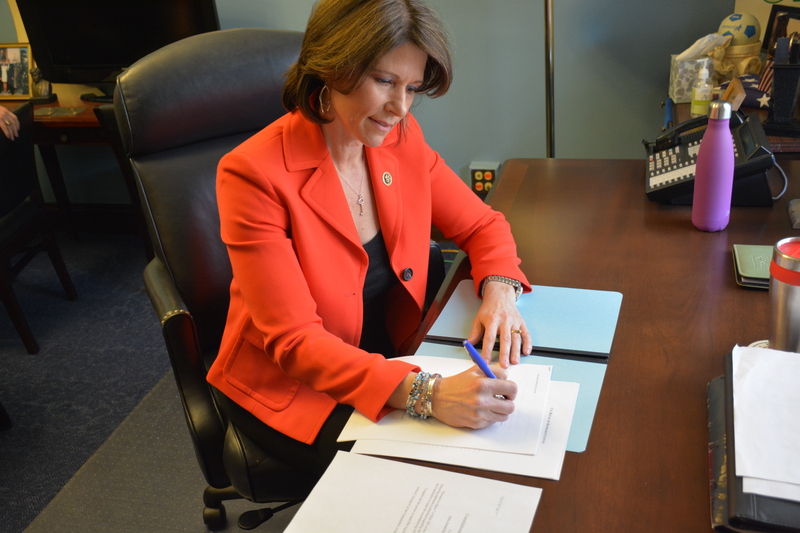 WASHINGTON – Today, Congresswoman Cheri Bustos announced that she helped introduce the Congressional Accountability and Hush Fund Elimination Act. This legislation would prevent taxpayers from paying for congressional sexual harassment claims – instead the onus would fall on the perpetrators. This bill would also prohibit non-disclosure agreements in Congressional sexual harassment cases – these agreements have prevented many of the victims in the news from making their stories public. This bipartisan legislation was introduced in light of news that the Congressional Office of Compliance has made more than $17 million in secret settlement payouts since the 1990s with virtually no transparency. “Taxpayers shouldn’t be footing the bill for members of Congress to sweep their own bad behavior under the rug,” Congresswoman Cheri Bustos said. “I don’t know a single woman who hasn’t been impacted by sexual harassment or discrimination in one way or another, but this is a moment when we are standing together to say no more. I’m proud to support this bipartisan effort to protect taxpayers, hold sexual harassers accountable and stand up for victims. The Congressional Accountability and Hush Fund Elimination Act would overhaul the secret taxpayer-funded system that is currently used to settle harassment claims. The Congressional Accountability and Hush Fund Elimination Act was introduced by Reps. Ron DeSantis, Marsha Blackburn, Jim Cooper, Tulsi Gabbard and Kathleen Rice with Congresswoman Bustos supporting them as an original co-sponsor.